Many properties are situated next to the River Aire but 2 Water Lane is something else In fact it s about the closest you could get because this delightful building sits right on the edge of the water. 2 Water Lane is a thoroughly handsome warehouse conversion with large sash windows and some beautifully detailed brickwork. 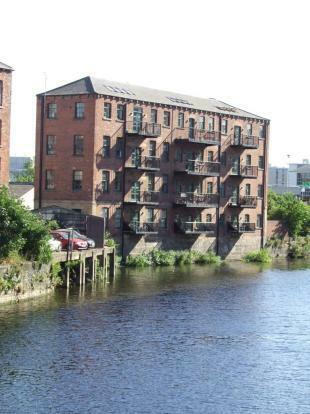 And since this property is quite narrow many of its twelve apartments also provide tenants with superb dual aspect views; with the River Aire being at the front and Water Lane at the rear. But one of the real highlights of 2 Water Lane is its balconies. Because there is no footpath to separate the river and the building itself these actually overhang the water; and this is quite a rare feature as you can imagine 2 Water Lane really is a gem of a property. Not only does it have plenty of style and character but it is also in a lovely central location. Couldn’t be more central great location aging now looking at all the new builds but still one of the better areas to be.